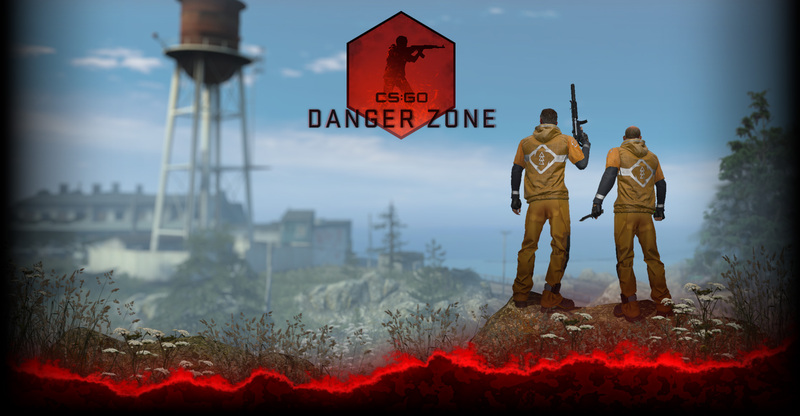 We’re working on the next update for CS:GO, and we’ll have many more details soon. In the meantime, we wanted to give you a heads up on one of the things we’re working on. When we released the USP-S and M4A1-S as part of the Arms Deal Update, our goal was to add variety to the weapons players typically see in a match and to give CS:GO players more opportunities to demonstrate their skill in weapon selection. So far, the results of that experiment have been a success. 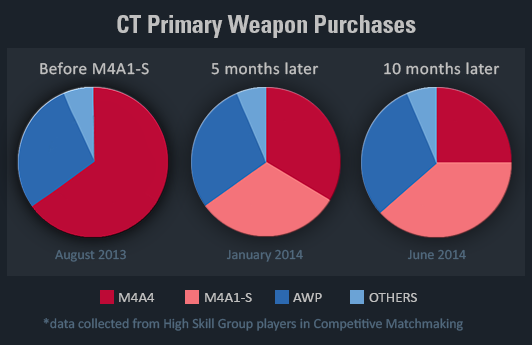 Prior to the Arms Deal Update, the M4A4 represented 65% of CT’s primary weapon purchases during full-buy rounds. After launch, players were evenly split between the M4A4 and the M4A1-S. Over time the M4A1-S has gained in popularity, though other primary weapons remain popular options. Following the same principle, we took a look at other highly-used weapons. Pistols are popular in CS:GO, and until a few months ago no pistol was more popular than the P250. Occupying more than 70% of all pistol purchases, the inexpensive P250 was a clear candidate for an alternative weapon. We intended the CZ75a to provide new gameplay opportunities among the pistols, while generally increasing the variety of weapons used in that category. Initially the results were promising: early on, CTs were split between the CZ and P250, and the Deagle and Five-SeveN were unaffected. But over the past few months, the community has changed their behavior around the fully-automatic pistol. The CZ is currently the most purchased pistol, and its popularity has cut into the usage of every other pistol. Our goal was to increase variety in pistol selection, but the CZ is starting to have the opposite effect. So in next week’s update, you can expect us to make some pistol changes. Even small changes to gameplay can have a large impact on the rest of the game, and often this impact won’t be observed until a few months later. 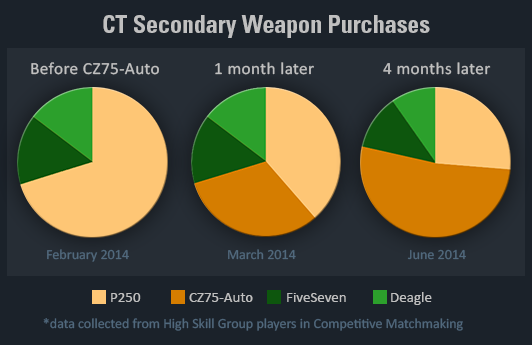 In the case of the CZ, it took over three months for player behavior to shift. As a result, whenever we make a change to the game, we generally try to give the community time to learn and adjust. We’ll have more details about the next update soon, so stay tuned!